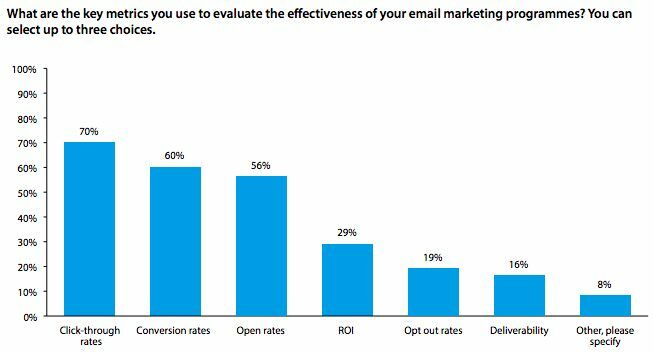 There is no shortage of data available about e-mail marketing — both from your own campaigns and collective research done by e-mail providers and marketing brands — so why do only 29% of marketers measure the ROI of their e-mail campaigns? Free Bonus Download: Learn from these 7 highly successful cold emails and implement the same strategies to boost your own reply rates and conversions. Click here to download it for free right now! Clicks are up! Let’s try that same CTA in our next e-mail. Open rates are down! Don’t use that subject line again. 10% of people marked us as spam. Someone press the panic button! That approach will only yield more of the same — incremental changes followed by a quick glance at the numbers followed by incremental changes. The cycle will continue unless you begin a new approach: asking a question first, then looking to the data for the answer. Here are some key questions to ask about your prospects and customers as well as some tips on how the e-mail data in your marketing automation tool can provide the answer. Q: What do my prospects need? Prospects begin a buyer’s journey not to purchase a product, but to solve a problem — whether it’s what to wear to an upcoming event or finding the right accounting software. Your job is to demonstrate that your product or service is that solution. But first you have to understand what exactly the problem is. To find it, look to your subscribers’ pre-signup behavior. Where did prospects join your list? And how did they get to that place? You should be using tracking tools (you can find these options in tools you may already be using like MailChimp or Hubspot), to track the journey across your site. As they move from page to page, a map will start to form, which will help you predict their destination. With that data-based prediction in mind, segment your subscribers by their main challenge and then tailor your messaging to each group, highlighting the features that most reinforce your ability to help them. Q: What information are my prospects missing? Some visitors will come to your site and purchase a product or service without first signing up for your e-mails. We’ll talk about them — your customers — in a moment. Others, your prospects, still need convincing. They are missing a piece of information that’s going to tip the scales for them and lead to a conversion. So what is that information? Once you’ve segmented your list by your prospects’ needs, you can find it by monitoring their e-mail engagement — mainly, click-through rates (which matter more than open rates). Your click-through rate, on the other hand, is a good indicator of not only what information your customers are looking for, but whether or not you’re providing it. You can’t get that information if your request is “Buy Now!” again and again, so it’s important to vary your CTAs. By tracking clicks, you’ll be able to understand what the missing tipping point is — a promo code, a trusted testimonials, a case study demonstrating ROI. And because every click won’t result in a conversion, use those clicks to further segment your audience and drill down your messaging even more. Q: How satisfied are my customers? A big chunk of your e-mail subscribers will be existing customers — a group that many marketers forget in their quest for converting prospects. However, since it costs five times as much to acquire a new customer as it does to retain an existing customer, catering to those loyal individuals is of the utmost importance. 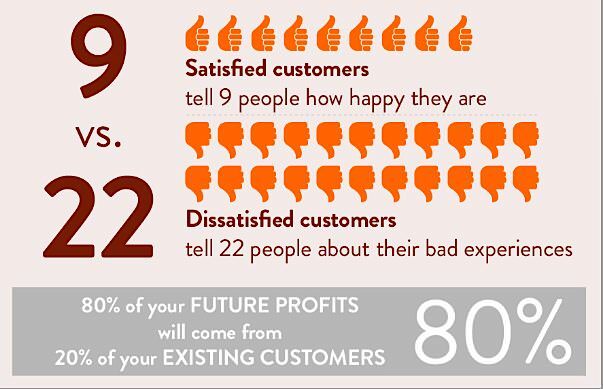 Are your existing customers satisfied with your product? Will they make a second purchase? Do they plan on canceling their subscription? Would they recommend you to a friend? E-mail data can help answer all of these questions. After making an initial purchase, your customers are in peak state and more likely to interact with your brand. While some natural decline may occur, it’s critical to watch for any drop in engagement — fewer opens, clicks, and even (gasp!) more unsubscribes. If your product is a SaaS tool or other subscription-based service, a drop in engagement can be a strong indicator of a coming cancellation. If you’re looking to secure a second sell or upsell, this drop could be an indicator of dissatisfaction with the initial product or that your offer is not of interest. Create a plan to re-engage individuals who drop off with new messages, special offers, and personalized content. Pay attention to e-mail forwards or clicks on share buttons, too — customers who are willing to promote you to their friends or colleagues are your strongest base. Show them gratitude with great content and special opportunities and they’ll become your natural brand ambassadors. E-mail data can answer a multitude of questions about your subscribers, but you also need to use it to question yourself. One of the most important things you can ask is: How effective is my e-mail marketing program? And to answer that, you need to look at ROI — how many dollars can be directly tracked to your campaigns versus how much you’re spending on e-mail marketing (including your own invested time). If the answer isn’t positive, it doesn’t mean you should quit e-mailing all together. When it’s done right, e-mail marketing can have a massive ROI (an average return of $38 for each $1 spent), surpassing social media, direct mail, and many other forms of marketing. But doing it right means segmenting, testing, integrating with other channels, and never losing your curiosity or drive to improve. So keep asking questions! You’ll find that your e-mail data has so many answers. Taylor Burke is a contributor for TechnologyAdvice. She’s passionate about content marketing and great customer experiences. When she’s not in front of her screen, you can find Taylor reading, cooking, running, or hanging with her dog—but rarely all four at once.